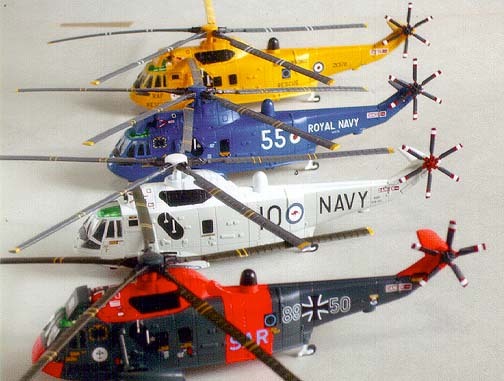 One Sea King kit and 3 aircraft markings included. 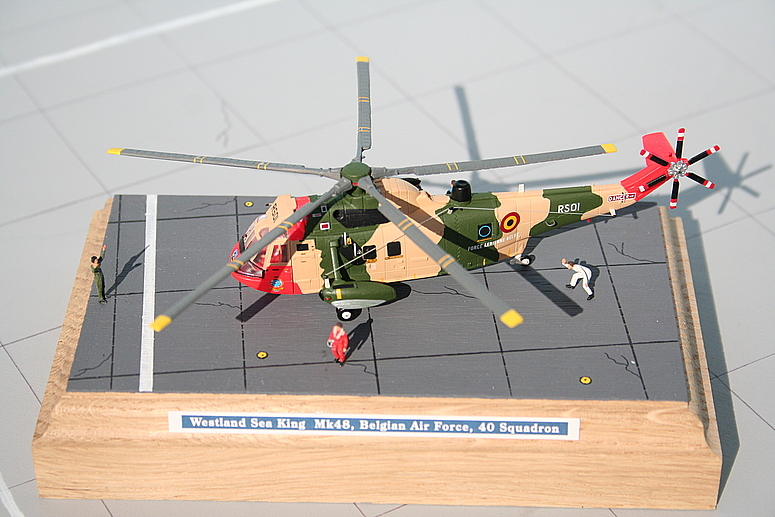 #14-D002 Description Snap-Tight kit; Snap-Tight kit of 1/144 scale H-3 Sea King Helicopter. 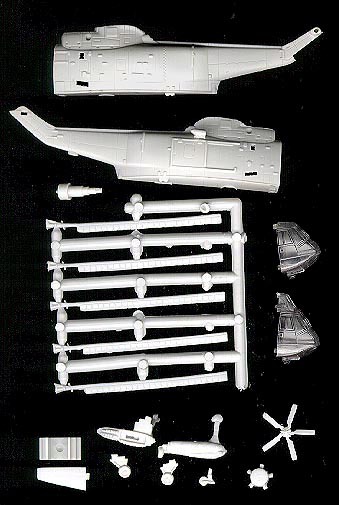 The snap-tight kit consist of 25 light gray injection plastic parts and 2 optional clear parts for different nose section. 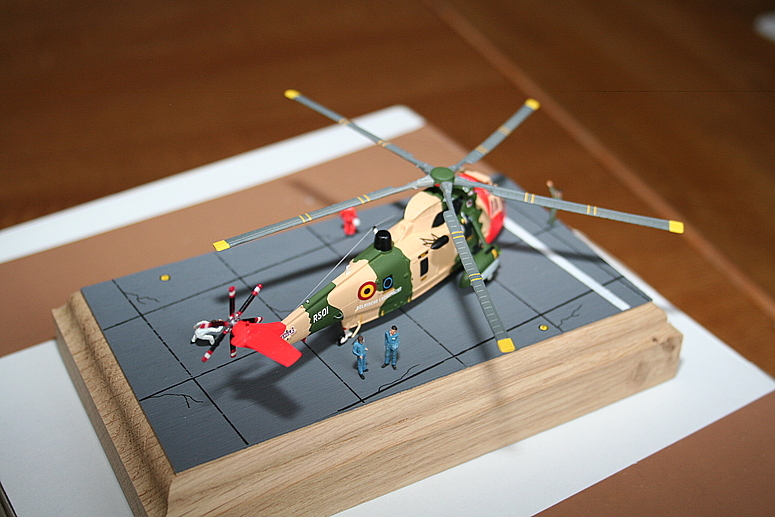 All panel lines and window frames are recessed. 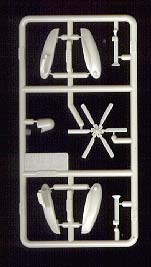 Model Lengh: 6 & 1/4" when it's built. 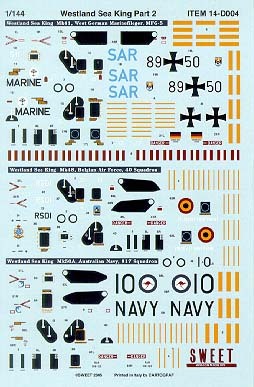 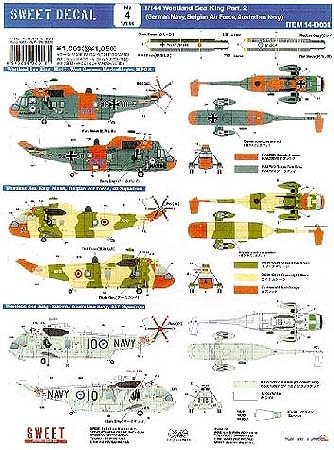 Decal Sheet; The decal depicts 3 aircraft markings ; Sea King Mk41 West German Marinefileger MFG-5, Sea King Mk48 Belgiam Air Force 40 Squadron, Sea King Mk50A Australian Navy 817 Squadron. 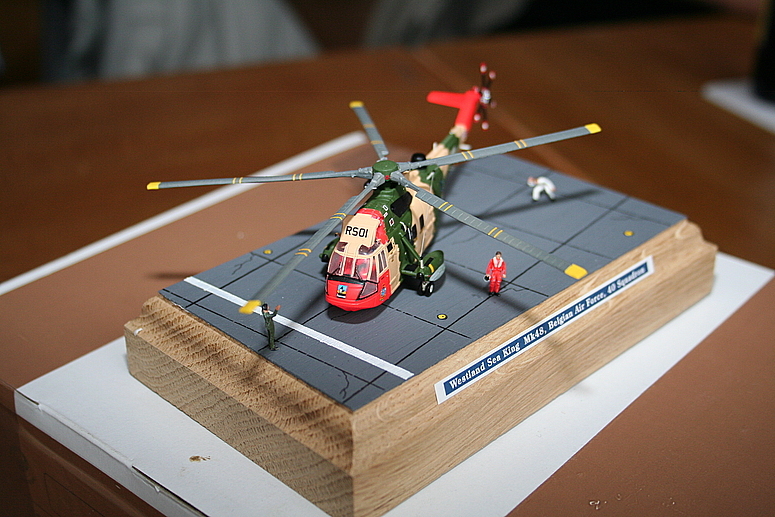 High quality decal printed in Italy by CARTOGRAF. 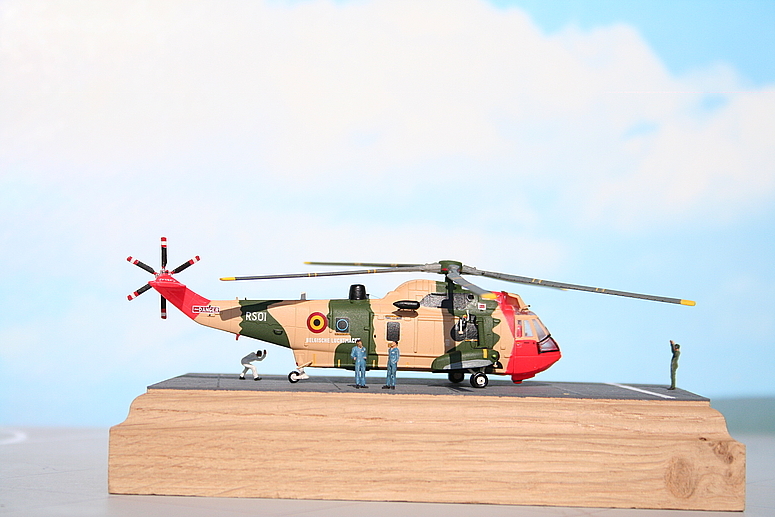 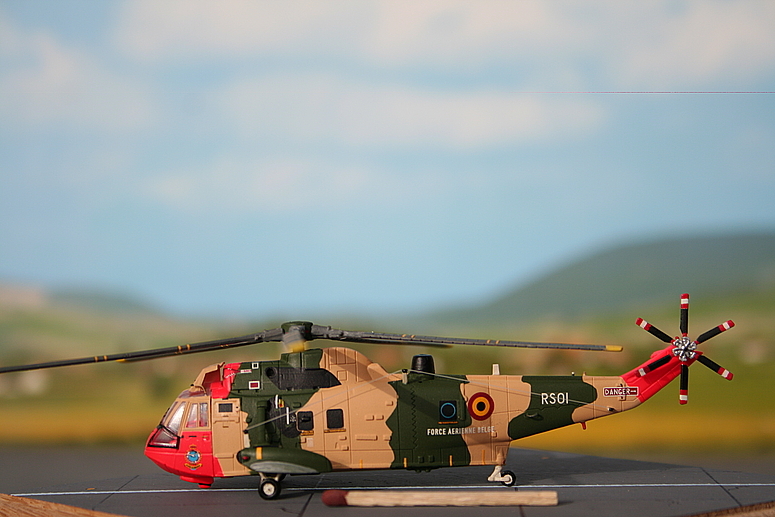 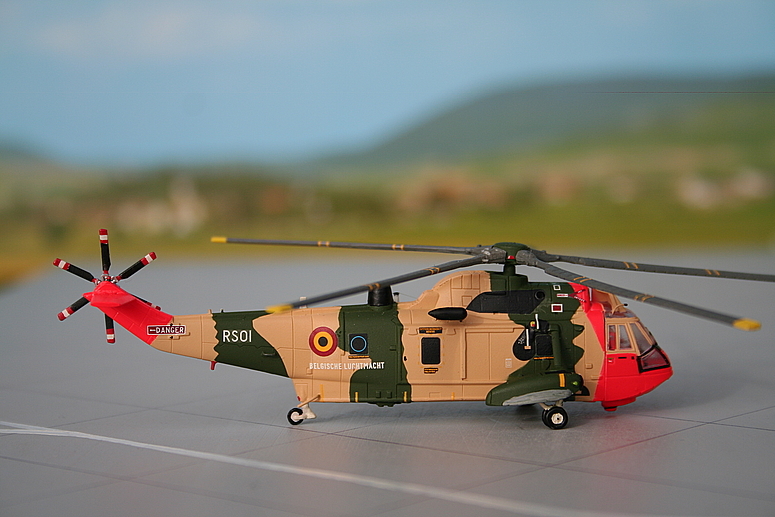 "Sea King Mk48 Belgiam Air Force 40 Squadron"
Nice figures and background photo add realism to it.